PLEASE NOTE – Lead time can vary and take a few days, particularly at busy times as these rails are made bespoke to your requirements. 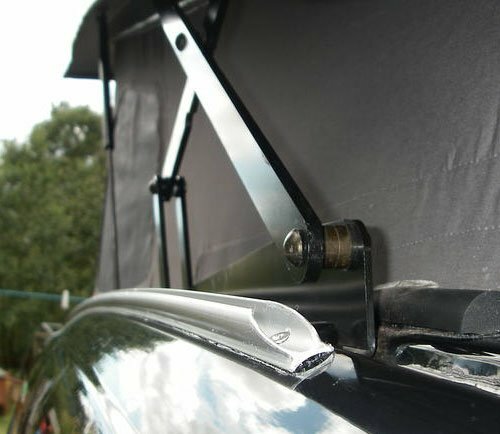 Our VW Campervan Awning Rail is a single piece of aluminium rail which is discreet but smart, with shamferred ends to prevent your awning being snagged. Supplied as a self-fitting kit. 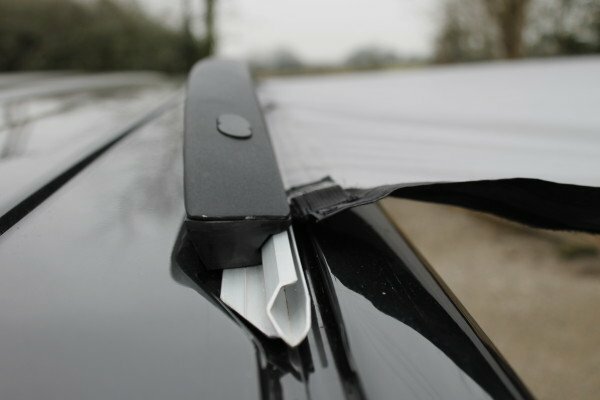 It is very easy to fit as the rail has pre-drilled holes, meaning you just need to decide where you want it located – either as pictured or, if you want it completely out of sight, you could put it in the gutter channel. 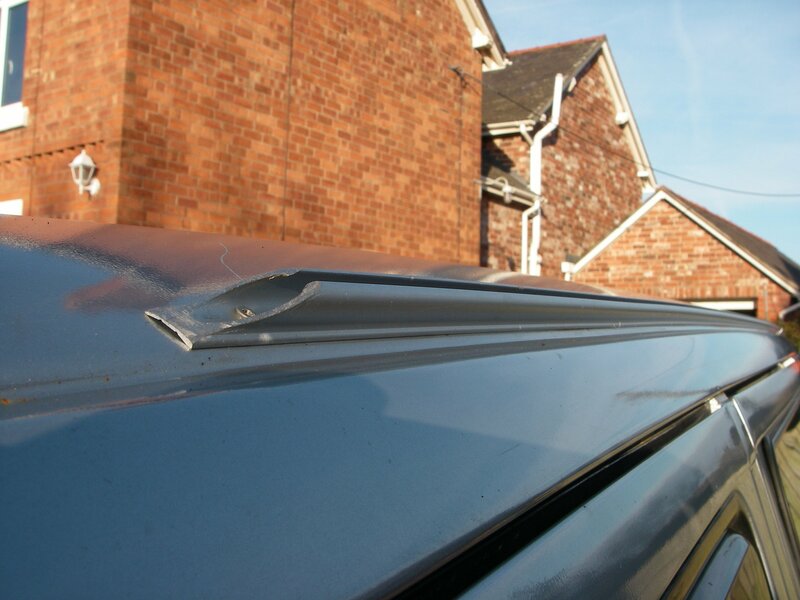 In most cases, this rail can often be hidden underneath the roof so that it is out of sight when the roof is down. Payment can also be made with a debit or credit card over the phone. Why a Camper Essentials Rail? At last, the perfect alternative to the very expensive VW or Reimo alternatives. 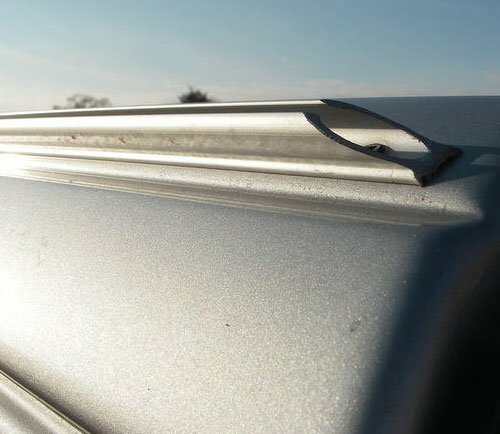 This rail actually has advantages over these other two products, other than the price, in that it is so discreet at just 12mm x 12mm in profile which usually allows this rail to be hidden underneath a pop top roof. This is proving to be very popular with many of my customers. This rail is a single piece of aluminium rail which is discreet and smart looking with chamfered ends to stop your awning being snagged. It looks very smart and discreet on the side of your van. It is also in another league to some other options you may see which come in two sections or worse still which are just a J shaped piece of metal relying solely on getting the right tension on the Figure of 8 sections. Not only are they charging not much less for a completely unfinished rough, square ended rail, the Figure of 8s will come un-clipped on those other rails if it gets a bit windy… Not a problem with a Camper Essentials Rail as the beading on a sun canopy can be fed straight in, as can an awning if you don’t want to drive away or if intending to drive away, simply use the Kador Bead and Figure of 8 for the ultimate attachment that won’t come off even in stronger winds! 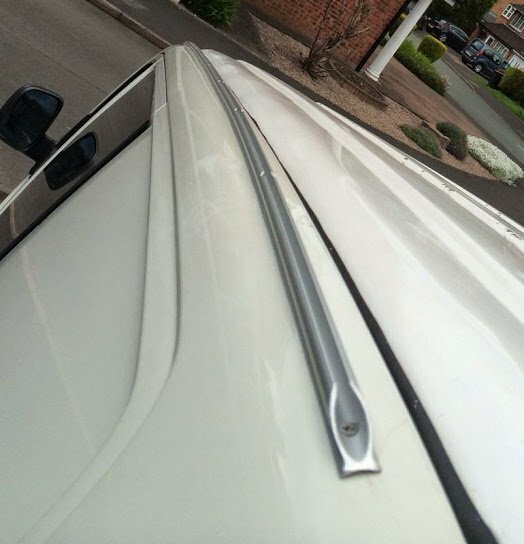 This rail is a far better option than messing around with suction cups and metal rods, clamp and pole systems or any other method with the risk of it blowing off and damaging your van or messing around with ropes and tying your awning over the top of your van and risking the ropes rubbing and scuffing your paintwork as well as not being very effective with a pop top. 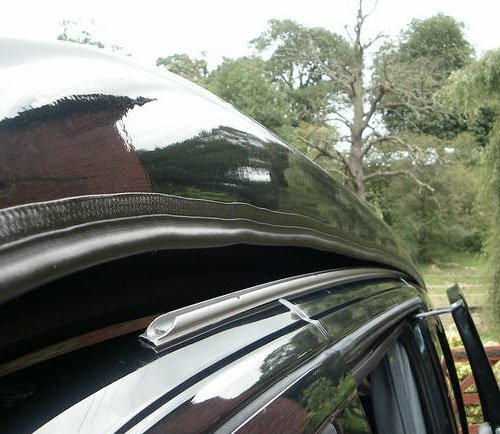 Here you have an alternative to the expense of Reimo, but with the same practicality and a discreet yet smart look, which will undoubtedly add value to your van and is all beautifully finished! How and where to fit. The Camper Essentials rail you’re buying is supplied as a self fitting kit with full comprehensive instructions (and free personal expert telephone advice if needed), sealant, latex gloves, masking tape and stainless steel screws. 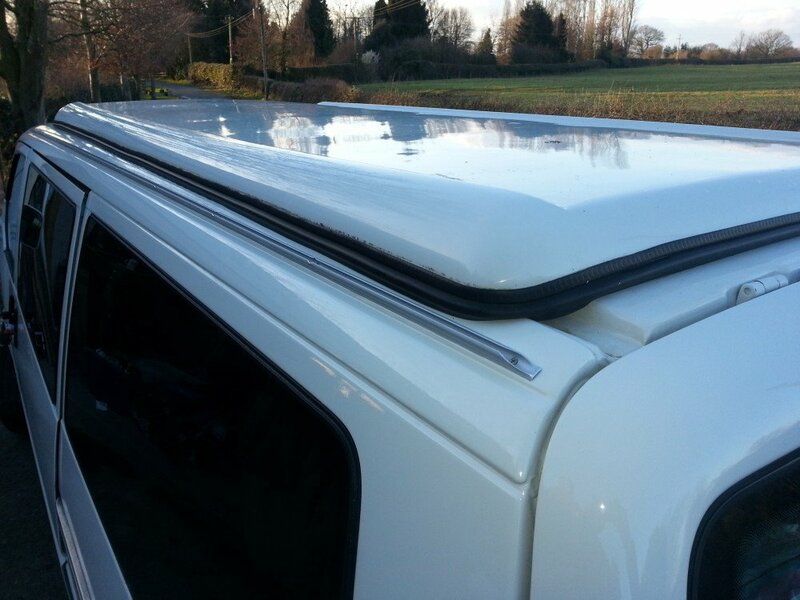 If you do not have a pop top roof, this can be fitted anywhere from just above the small groove, up to the top of the van just before it drops into the gutter (which is the best place if a pop top might be fitted later). It can also be hidden in the gutter channel, however this is a little trickier as you have to drill through two layers of metal. Please let me know if this is your intention and I can add some additional information to help you achieve this. If going under a pop top roof read this. In order to calculate whether this rail will hide under your roof, look at where the rubber of the roof sits. 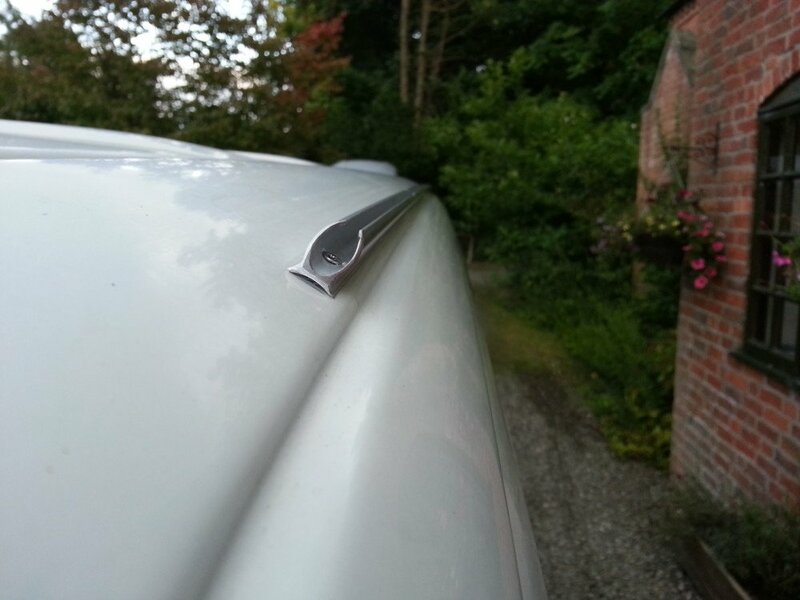 This usually scuffs or polishes your paintwork slightly or you will see water marks either side of where the rubber sits. The rail is only 12mm wide and 12mm high and therefore providing you have at least this (there is often up to 5cm gap on the inside), it should fit underneath. The clearance is usually least towards the rear of the van. The other thing to check is how long the roof is. 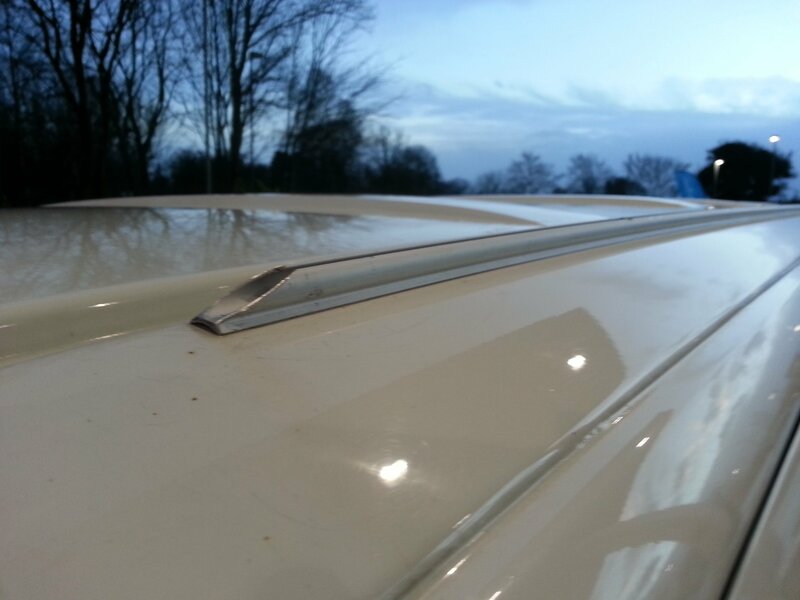 Some have a larger spoiler section at the front, whereas others go almost to the windscreen and have just a small wind deflector. 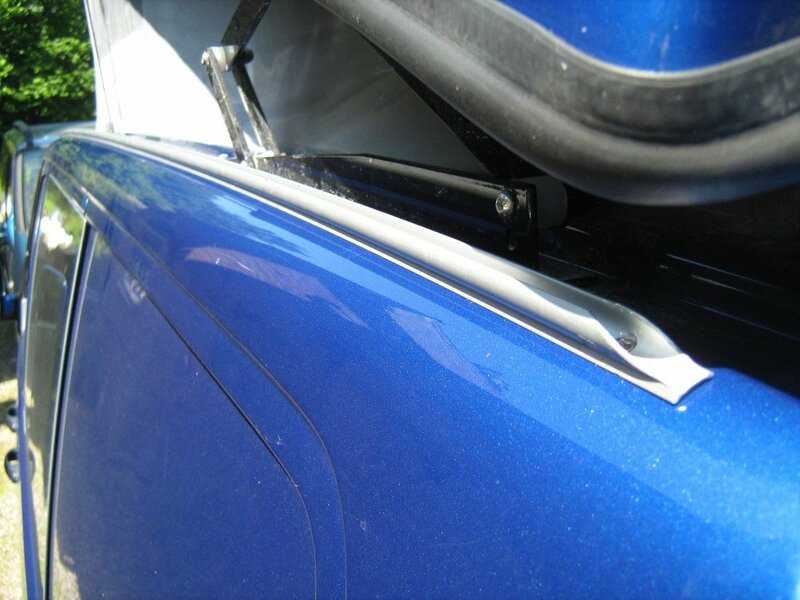 At the rear of the van the height of the hinges can also impact on the length of rail available as you need to be able to get the drill bit into position to drill the rearmost hole. This can be done at a slight angle if you’re careful but on lower hinged roofs the rail may need to come forward by a few cms. 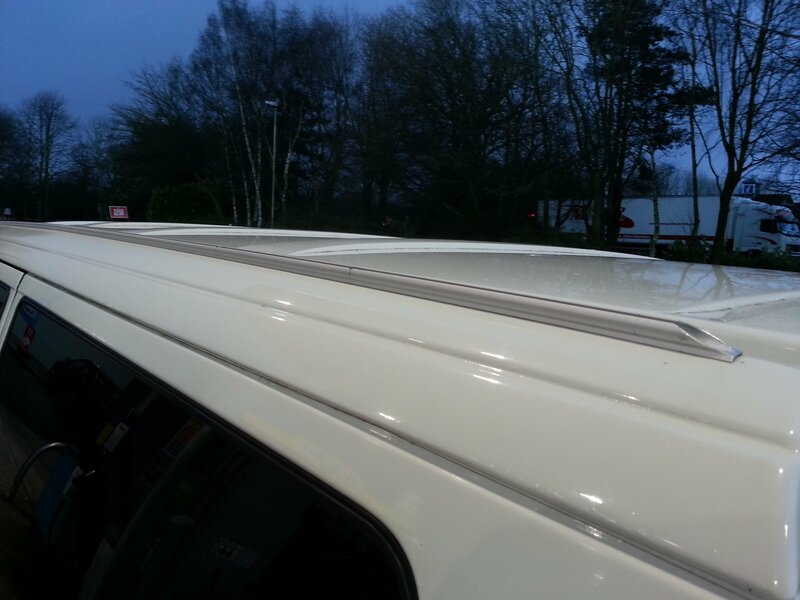 Alternatively this rail can be fitted outside of the roof above the doors just outside of where the rubber sits. This will obviously make it visible all the time but does have the advantage of being able to be used no matter whether the roof is up or down. Once fitted, this rail is super quick and easy to use. 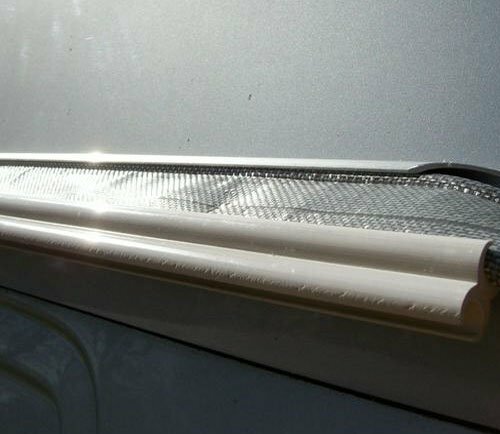 Using a Kador awning bead strip which feeds into the Figure of 8 and the Awning Rail attaches the two together in the most reliable and weatherproof way within a minute or two. I can supply Figure of 8 sections and Kador awning bead at an additional cost if your awning was not supplied with them and will not charge any extra for postage. Plus £16.99 Postage and Packing for a Courier Service. This may be more expensive than some competitors but they cut the rail in half in order to get cheaper postage. This leaves you with a rail which is not nearly as good. I actually make a loss on the postage but believe it is essential that you have the best rail possible. 3m of Kador Awning Bead – £19.99 plus Free P&P when ordered with a rail. 760mm Figure of 8 – £4.50 each plus Free P&P when ordered with a rail. I have sold several hundred of these during last few seasons and this which have proved to be very popular and the feedback I have received has all been very positive including the ease of fitting and the comprehensiveness of the instructions – please look at my feedback! It is a system that works extremely well – has no problems with water ingress or anything like that and gives the best attachment – well finished and engineered and the possibility of bespoke service. 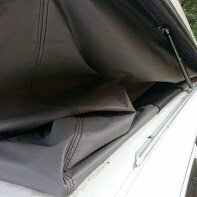 I can also make them to fit at the bottom of the van to fit a draft skirt or across the rear of the van if you wanted a Sun Canopy off the rear doors. Anything is possible. If you would like your rail fitting or would like to collect it personally, I am located in Totnes, Devon. Because these rails are made to order please allow a few days for for them to be made and delivered to you, however I aim to get them out as quickly as possible, however in peak periods this may be slightly longer. Please specify at the time of ordering what vehicle it is for and whether you require a LWB or SWB rail and also supply a contact phone number for the courier. Failure to do so will delay your order. Normally a SWB rail will be 268 cm but sometimes this needs to go down to 250cm or can be as much as 271cm and a LWB rail 280 cm to 300 cm. Please specify length at time of ordering or give me a call to discuss. I read this article and found it very interesting, thought it might be something for you. 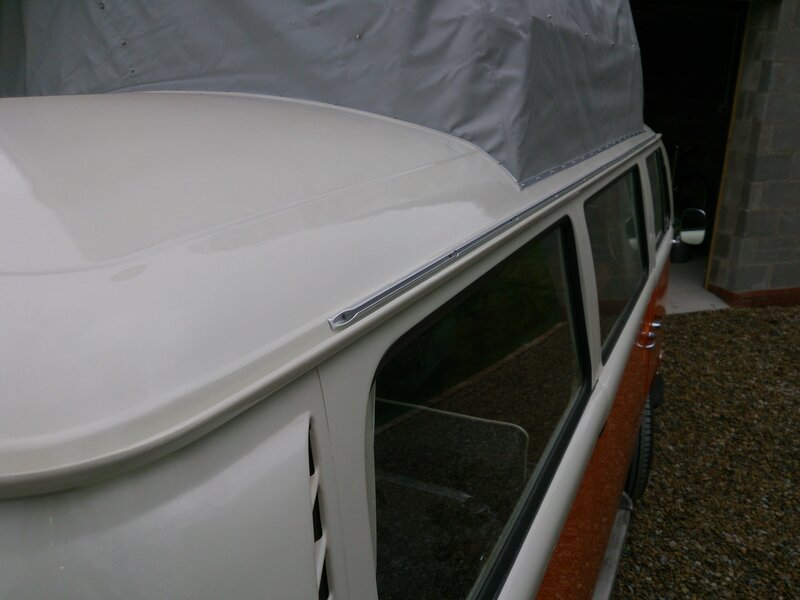 The article is called VW T4 One Piece Awning Rail and is located at https://camperessentials.co.uk/shop/awning-rail/.